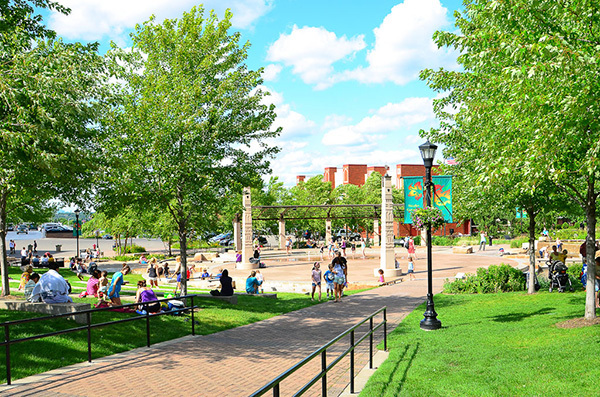 Nicollet Commons Park is one of the first "town square" style parks to be developed in the metro area suburbs and serves as the focal point of the City’s 54-acre mixed-use development known as the “Heart of the City”. Nestled between retail shops, restaurants, diverse housing, office space and the Ames Center, the park is home to an ever-popular water feature and numerous City events. During the summer months, bring the kids to Nicollet Commons Park for Rockin' Lunch Hour, featuring live entertainment and family fun. For the movie enthusiast, grab your blanket or chair and head to Nicollet Commons Park for Flick on the Bricks. Movies begin at dusk and viewing is free.